The PSIA adapter enables the connection of chip-level devices, such as analog-to-digital converters, digital-to-analog converters and sample rate converters, to Audio Precision 2700 Series and System Two Cascade Plus audio analyzers. 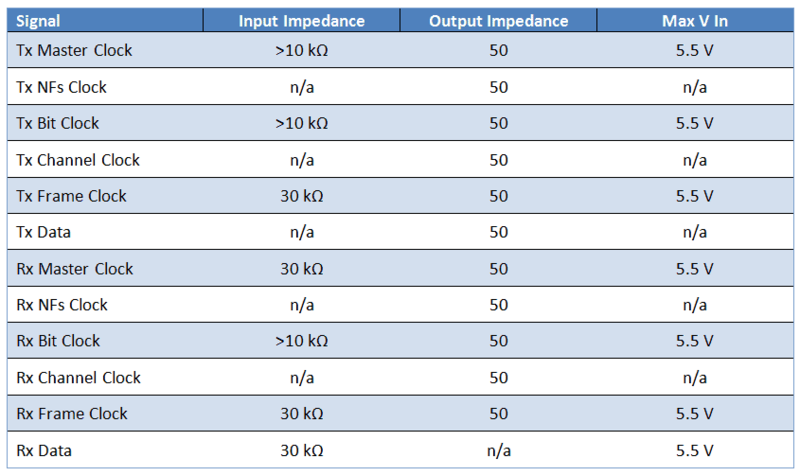 Devices under test may have a variety of interface protocols, including different logic families and voltage levels, clock rates, word orientations, and formats. Note: APx555, APx52x Series and APx58x Series audio analyzers provide chip-level connectivity via the Digital Serial I/O (DSIO) module option. The PSIA accommodates a wide variety of parameters to allow connection to virtually any device. These parameters are set within the analyzer control software on easy-to-use soft Transmitter and Receiver panels. PSIA setups are saved as part of the analyzer’s test file, ensuring repeatable and consistent measurements. The PSIA includes a Loop-Back mode to facilitate debugging. You can copy transmitter settings to the receiver with a single click for quick setup. The complete setup can be stored and recalled as part of your test file. Simplified setup controls for I2S are also provided. The PSIA is housed in a slim rack-width package that will conveniently sit on top of the host analyzer system. All logic lines are connected via front-panel BNC connectors to ensure data integrity. A handy oscilloscope probe jack is provided for each BNC signal. As several of the data ports can be in either input or output mode, LEDs are located above each BNC connector to indicate data direction. All device parameters are set using soft panels. Clock rates, word width and format, data channels and other parameters can be set and saved to allow easy and predictable device tests. Panels are included for transmit and receive functions with the ability to copy settings from one to the other. • Loop-Back mode to help with debugging. You can copy transmitter settings to the receiver with a single click for quick setup.